Discover how a phone system can automate your business by automatically routing calls 24 hours a day seven days a week, reduce time spent with unwanted and annoying phone calls, eliminate the need for a costly fax line, make you and your associates more available to your customers. The unique value we provide is Free Phone System programming with every new NEC and Panasonic Phone System installation, plus training, and lifetime support. All you have to do is wire in the system and we will do the rest! This is a very valuable program for those who wish to break into the Business Phone System Business. As stated above we do the programming with 60 days of updates, training and we provide the support for as long as you own the phone system. 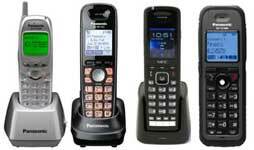 We have proprietary cordless phones that provide most of the same features as a desk phone for most phone systems with what are known as compatible cell stations that extend the range of the cordless phone for larger areas such as a large home or a large warehouse area. In today's world the need for a fancy Hotel Telephone System is not needed as I am sure we can all agree that most every one visiting a hotel or a motel has a cell phone for placing calls, receiving phone calls, and messaging. 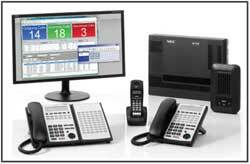 The only need for a phone system in a hotel is for intercommunications when a guest needs assistance. There is really no need for the large console as the newer reception phones have a display and will clearly display exactly what room is calling so a hotel operator can provide proper assistance. The phone system for small to large business with the needs of a phone system with 3 phones to as large as a system with up to 96 phones. The NEC is a feature rich phone system packed with lots of modern features like VoIP, call transfer to a cell phone, dial in and dial out provides the ability to seem like you are in the office when you are not. We provide quality replacement phones designed to last available for most any newer phone system or older phone systems that have been discontinued. The Samsung Phone Systems is a perfect match for business small to what we would call mid size business with many advanced features available at your finger tips. 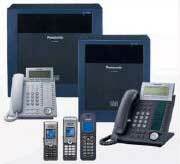 Find replacement phones, expansion cards, and control units for most any new and older Toshiba Phone System. We have Wireless Headsets at a notably affordable cost plus Wired Headsets for most any modern phone system manufactured in the late 90's to present. 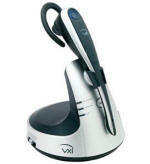 The ultimate phone system for small business with IP Phones an Cordless Phone and room to go. Our NEC and Panasonic Business phones work well in many industries such as investment firms, real estate offices, mortgage offices, the movie industry, automotive body shops and auto repair shops, sales offices, supply houses, auto parts stores, homes, home offices, manufacturing plants, factories, retail stores, doctors offices, restaurants of all types, and a whole lot more. E System Sales, Inc. provides business phones, voice mail and phone system sales serving: New York City, Manhattan, Union City, Long Island, Hempstead, Queens, Yonkers, Uniondale, Freeport, East Meadow, Hyde Park, Jackson Heights, Elm Hurst, and Brooklyn. E System Sales, Inc. provides business phones, voice mail and phone system sales serving: New Jersey, Jersey City, Newark, Plainfield, Somerset, Middlesex, Bloomfield, Orange, Belleville, New Stead, Glen Ridge, Maplewood, Montclair, Roseland, Nutley, Lyndhurst, Essex Falls, Caldwell, Rutherford, Hillside, Maplewood, Elizabeth, Cranford, Rahway, Woodbridge, Port Reading, Carteret, Trenton, Princeton, and Linden. E System Sales, Inc. provides business phones, voice mail and phone system sales serving: Pennsylvania, Allentown, Philadelphia, Easton, West Chester, Norristown, Lancaster, Harrisburg, Scranton, Pottstown, Lansdale, Williamsport, Hazleton, Greenville, and York. How EZ can installing Business phones be? The NEC and Vodavi are a two wire phone system. This means that every telephone needs only two wires connected to the control unit to operate the phone. By following our EZ installation diagrams and purchasing a installation cable and block kit you will see how EZ installation can be. Wiring diagrams available for EZ installation and programming. Installation cable and block kits available for the NEC, Panasonic, and Vodavi Phone Systems.